Powered industrial trucks, commonly called forklifts or lift trucks, are used in many industries and in locations from warehouses to construction sites and are primarily used to move materials. Every type of forklift is designed to move heavy objects or containers, but there are many different forklift models that can be categorized based on their power, size and methods of operation. 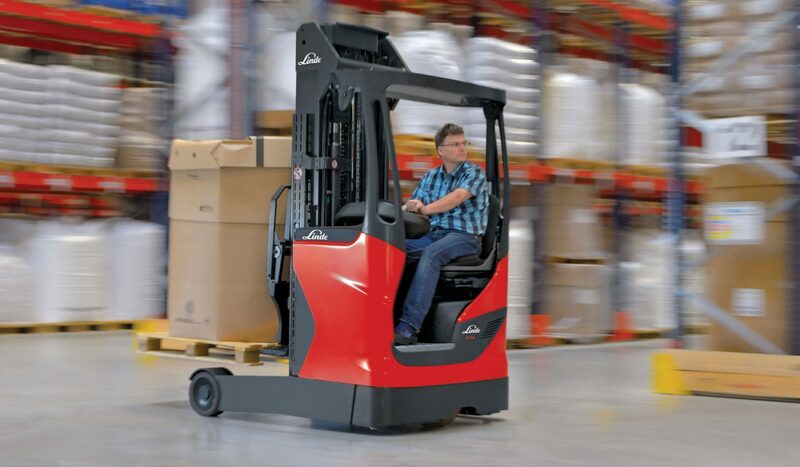 Electric forklifts are a quiet, environmentally friendly means of handling a wide range of unit loads including pallets, pallet boxes and stillages, giving a company a comprehensive choice for any application. Do I Need Training to Drive a Forklift? OSHA requires that every forklift operator be trained and certified to operate the powered industrial truck in the workplace, and that the operator’s performance be evaluated under the provisions of 1910.178(l)(3) every three years. A Forklift operator’s certificate is earned by all forklift operators, specifies the training that the operator received, advanced, specialist, refresher or basic. It also indicates the forklift type that the operator is certified to use, such as pallet truck, reach truck, etc., the rated capacity, the type of attachments and the motor power type. Powered industrial trucks are addressed in specific OSHA standards for the general industry, construction, marine terminals, and longshoring. It is a violation of Federal law for anyone UNDER 18 years of age to operate a forklift or for anyone OVER 18 years of age who is not properly trained and certified to do so. 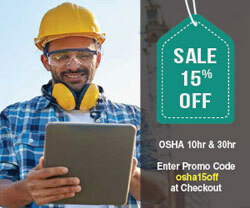 Download the OSHA Sticker. Know Your Rights! Under federal law, you are entitled to a safe workplace. Training provides details on OSHA, workplace hazards, workers’ legal rights, employer responsibilities, and how to file a complaint. Required by some states and companies in order to start employment. Battery-powered or electric forklifts produce zero emissions, virtually eliminate the hazard of carbon monoxide poisoning, and run more quietly than internal combustion forklifts. However, electric forklifts present other serious hazards that must be addressed. 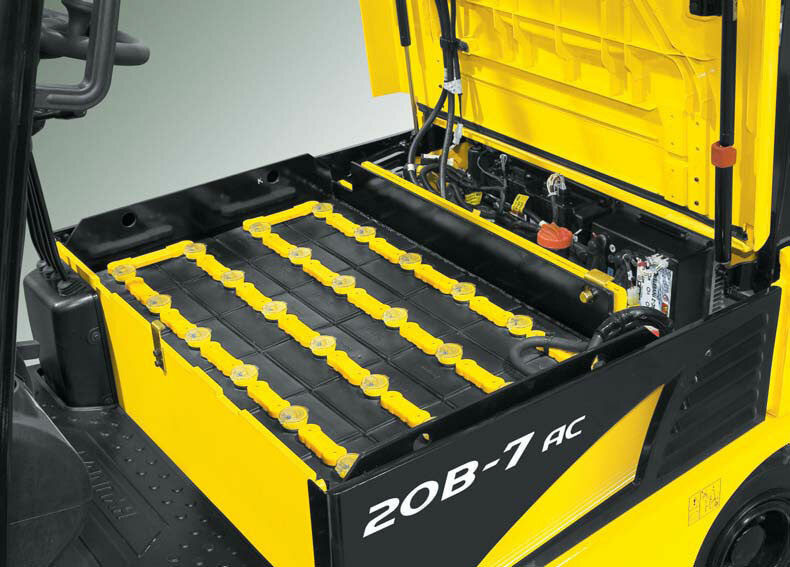 Potential hazards of electric forklifts are that they are powered by large lead-acid batteries, which must be routinely charged. Likewise, a safety area must be designated for the purpose of battery changing and charging. Other hazards involve making sure that the forklift is charged before using and recognizing that heavy loads drain the battery more quickly. Only trained personnel should charge and change batteries in electric forklifts. In addition to training in battery changing and charging procedures, these employees should be trained on emergency procedures in the event of an acid splash, including how to use eyewash and shower facilities. 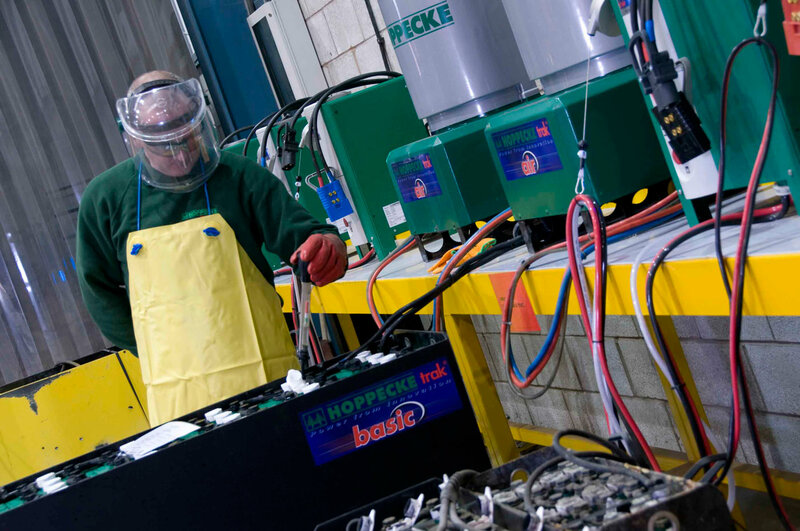 Batteries contain sulfuric acid that is highly corrosive and could be splashed on personnel servicing or changing batteries. Toward the end of the battery charging process, batteries can give off highly explosive hydrogen fumes. Contact with battery cells can cause electrical short circuits, which can burn unprotected skin. Requirements and Recommended Practices. Always follow your facility’s specific safety procedures. Follow the recharger manufacturer’s recommendations for attaching and removing cables and for proper operation of your equipment. OSHA has a list of regulations that outline safety procedures. Most warehouse and factory owners are safety conscious, which is why they require their employees to undergo mandatory training to obtain the necessary licenses and certifications. Employees are encouraged to be trained in forklift operation, general equipment management and safety procedures. Forklift operation training includes driving lessons. License acquisition as a rule involves filing of required papers as well as a hands-on road test. Licenses are issued to employees 18 years or older. Employers frequently assist workers in obtaining any applicable licenses for work. Powered Industrial Trucks. OSHA. Includes downloadable outreach training materials for the powered industrial truck operator training standard. Forklifts and Pallet Jacks. Includes summaries of regulations and evaluations of accidents involving forklifts. Forklifts and Pallet Jacks. Lists video abstracts that are relevant to agricultural safety. Forklift Safety Guide. Washington State Department of Labor and Industries. Provides resources and regulations for truck operator safety. How to Use the Hazardous Materials Regulations CFR 49 Parts 100 to 185. U.S. Department of Transportation, Pipeline and Hazardous Materials Safety Administration. Provides a simple overview of the complex, hazardous materials regulations. Fact Sheet No. 2: Preventing Injury Related to Powered Industrial Trucks with Effective Training. OSHA and the NSC Alliance, (August 2011). The Alliance participants developed a fact sheet addressing effective training of powered industrial truck operators, including tips on what employers can do to help protect workers. Representing, marking, certifying, selling, offering, reconditioning, testing, repairing, or modifying packagings as qualified for HAZMAT transportation. Note: To find additional material, perform a search using the keywords “forklift safety” or “forklift training” with any search engine to find private companies that provide forklift safety training services, including videos, written programs, operation training, and more. Resources. Provides links to other trade associations that serve the material handling industry. Saddle Creek Corporation Provides Forklift and Golf Cart Drivers with Eye Protection. OSHA Success Story. Discusses Saddle Creek Corporation’s (a warehouse and logistics company) implementation of a formal eye-protection program for its forklift and golf cart operators. Key Forklift Terms: forklift training,forklift safety training,forklift osha training,powered industrial trucks, powered industrial truck training, pit training, warehouse forklift training, construction forklift training, battery powered forklift, battery powered forklift hazards.